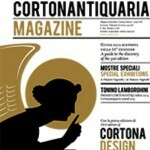 The best things to see and to do in Cortona. 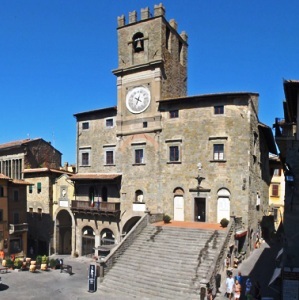 Cortona was originally an important Etruscan town which in the following centuries maintained a prominent position in the artistic and religious sphere. With the exception of some Renaissance palaces, the town’s appearance is largely medieval, with the center centered on narrow and suggestive narrow streets. 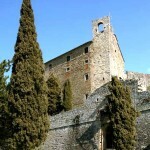 It is currently the main cultural and tourist center of the Valdichiana, whose panorama is enjoyable from various points given the high position of the town. 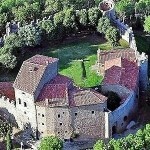 Noteworthy are the Fortezza di Girifalco, the Franciscan Convent of the Cells and the Etruscan Museum. In Cortona periodically important events have been carried out such as the Antique Fair, Cortona On the Move and the Giostra dell’Archidado. 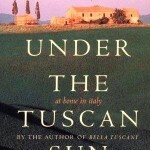 In Cortona was filmed the film Under Tuscan sun, the true story of the American writer Frances Mayes..
At the origin, on the same site, a longobard fortress dating from the 6th century was erected. Around 1258, the city of Arezzo, victorious after a brief armed confrontation, further strengthened the building, transforming it into a castle. 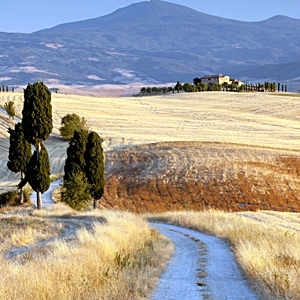 Over the centuries later, various other interventions were carried out until Cortona became part of the Florentine estate. In the middle of the 16th century Grand Duke Cosimo I ° Medici decided to build a fortress and, consequently, the prescient complex was totally restored and reinforced. At the base of the decision was also the desire to install a strong caposaldo to the east of Siena, the always ruthless rival of Florence. Shortly afterwards, with the end of Siena’s independence and the incorporation of the city and its territories into the Grand Duchy of Tuscany, the fortress came to a period of decay, though it remained fairly well throughout the following period. The present appearance is the result of the 15th century renovation: imposing walls follow a trapezoidal trajectory with four corner ramparts and ronda walkway. Inside, there were also several local stores: the dust store, the prison, the two cannoniers and the rifles. 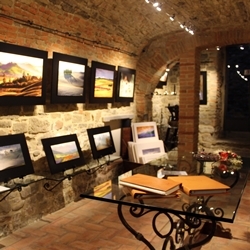 The fortress is visitable and, frequently, exhibitions are set up, essentially artistic. 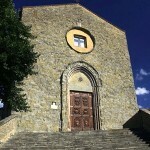 It is a sanctuary dedicated to the patron saint of Cortona. 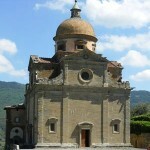 At the death of Margherita (1297), it was decided to build a church in its honor, alongside the old church of St. Basil that the pious woman had restored after choosing her as a place of penance and prayer. In 1385 the church was entrusted to the Olivetan monks, replaced in 1389 by the Friars Minor Observant who still reside there. 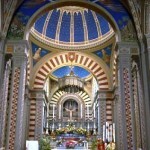 The present aspect of the church is, however, the result of the 19th-century reconstruction, initially entrusted to the architect Enrico Presenti, during which the original single-nave plant was replaced by a basilic structure. In the chapel of the left transept lies the marble monument of Santa Margherita. In fact, the body of the saint is preserved within an urn on the main altar, bordered by a silver foil frame embossed and chiselled with vitreous paste. In the altar to the right of the main altar there is the Crucifix (13th century), which the local tradition wants is just the one in front of which Margherita used to pray. Other important work are God the Father, the Immaculate Conception and the saints Francis, Dominic, Ludovico of Toulouse and the blessed Margaret of Cortona, painted by Francesco Vanni, 1602. The ceiling of the church is decorated by a charming starry blue sky. Built on the remains of a pagan temple and documented as a pieve in the 11th century, the building was elevated to rank as a cathedral in 1325, coinciding with the establishment of the diocese. 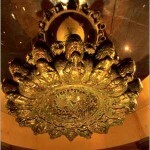 It was restored in the 18th century. The interior is full of valuable works, such as the Adoration of the Shepherds of Pietro da Cortona (1663) and Consecration of the Church of the Blessed Sacrament (1607). Particularly unusual is the table with the Descent of the Holy Spirit (1528) attributed to Thomas Bernabei, known as the Papacello. Pentecost is depicted in a curious and original way: the forcients look at the Madonna from an elevated cornice while the Apostles are on the lower floor. In the last span of the right side nave there is a cane organ, built in 1839 by Florentine Antonio Ducci. Built in 1245, it has the typical appearance of the churches of the Franciscan order: a large hall that ends with a central niche flanked by two smaller chapels. Inside you can find important works such as the Nativity by Raffaello Vanni, the Annunciation by Pietro da Cortona, Sant’Antonio da Padova and the miracle of the mule of Cigoli, and the Virgin in glory among saints by Ciro Ferri. Moreover, in the church, a fragment of the Cross is preserved: one history reports that it would be recovered in Constantinople (Istanbul) and transported to Italy by Friar Elia, one of the first confreres of Saint Francis of Assisi. In the monastery attached to the church are instead preserved three objects belonged to St. Francis: a leg and a finely embroidered cushion. 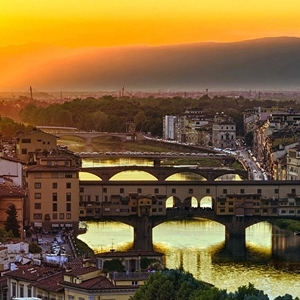 It was built in the mid-16th century by the well-known architect Giorgio Vasari. The building has a very unusual plan: a Greek cross inscribed in a square and dominated by a main dome. Inside there are various valuable works, including the Nativity of Alessandro Allori, San Carlo Borromeo that brings the Communion to the plague of Baccio Ciarpi, the Empoli Annunciation. At the origins of the church there is a miraculous event, according to popular tradition. Exactly in this place there was a tub for leather tanning, known as “lime” for lime, which was used in the manufacturing process. On Easter Sunday, 1484, an image of the Madonna and Child, painted on a wall of the pool, began to work miracles. Following the growth of devotion, accompanied by the numerous alms of faithful and pilgrims, the Art of Shoemakers, owner of the tanning, decided to erect a “holy temple”. 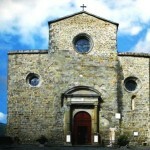 The church was built in 1485 on a project by Giorgio Martini. The building was renovated in 1777 until it assumed its current appearance: a nave flanked by two side chapels with a transept and a dome at the intersection of the two arms of the presbytery. The miraculous image that was the origin of the church was placed on the main altar. Also all the paintings in the chapels are not casually inspired by the Marian iconography: from the Assumption to the Annunciation, from the Immaculate Conception to the enthroned Madonna and the Child with St. John the Evangelist, St. Thomas of Canterbury (patron of the Art of Shoemakers) , San Rocco and San Giovanni Battista. An excellent stained glass window by Guillaume de Marcillat (1516) decorates the oculus of the counter-façade. 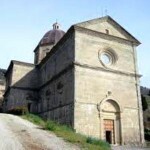 It was founded in 1211 by St. Francis of Assisi, who returned there in 1226, just before his death. In 1969 the complex, very impressive due to the local amenities and the spiritual atmosphere, has been radically restored. The common rooms and those, smaller, where the monks lived are arranged “stepped” on both slopes of the valley. 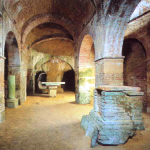 The complex preserves the cell that was personally used by Saint Francis during his visit. Inside the convent there is also the chapel of San Felice da Cantalice, dating back to the seventeenth century: on the altar a Madonna offering the Child in San Felice da Cantalice, by Simone Pignoni. All around the convent there is a suggestive forest, of aesthetic and naturalistic value, essentially made up of centuries-old holm oaks and cypresses, crossed by pleasant paths that allow excursions between streams and natural gorges, always with excellent views of the valley below. Ancient Benedictine monastery, dates back to the Lombard period (9th century). In the 15th century, however, it was now in full decadence and, in 1799, it was suppressed. Despite some “mutilations” and modifications, the whole of the church has remained quite well over the centuries. The restoration work took place incredibly at a crucial moment (1940-1944) for the history of Italy. The church has a T-shaped plan and has a single nave. Unusual the solution of the transept, in which there are five apses facing east (the light), symbol of the Redemption, according to the tradition of the time. Also the presence, inside the presbytery, of niches around the apses, almost forming a clover. The stained glass windows are all very valuable. Of particular suggestion is the crypt, used as a collective tomb after the decommissioning of the monastery and then rediscovered and restored in the early 40s. The central cell is a four-leaf clover, while the side cells are in the form of clover. The vaults, without subways, are supported by columns from Roman times, one of which is pink granite from Aswan (Egypt). On the walls there are also some millennial tombstones, like a funerary stele from the Roman era and that of Abbot Ado (about 1100). 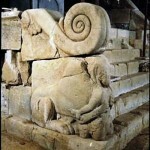 In 1974 the structure has again recovered the status of abbey. The other buildings of the monastery have largely been destroyed or have been radically transformed. È ubicato all’interno del Palazzo Casali, uno degli edifici più antichi e ricchi di storia della città, risalente al XIII° secolo. 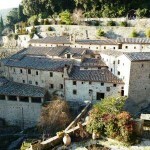 Il museo riunisce lo storico Museo dell’Accademia Etrusca e il Museo della Città Etrusca e Romana di Cortona. Vi sono conservati alcuni tra i più straordinari capolavori della civiltà etrusca, quali il lampadario del V° secolo a.C. e numerosi bronzetti. In pratica viene documentata tutta la storia degli insediamenti etruschi e romani nella zona per mezzo di importanti reperti. I capolavori in bronzo sono provenienti dalle località di Trestina e Fabrecce: i corredi dei grandi tumuli della zona pianeggiante, la celebre Tabula Cortonensis, lamina bronzea con una delle più lunghe iscrizioni in lingua etrusca, gli oggetti rinvenuti nella villa romana di Ossaia. Completano il museo una sezione egizia e la pregevole biblioteca settecentesca. Nel museo è presente anche una consistente sezione pittorica: da importanti opere come la Madonna con bambino fra i santi protettori di Cortona di Luca Signorelli (XVI° secolo) alla Maternità (1916) del pittore futurista Gino Severini. 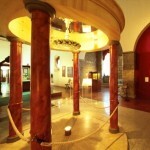 Il museo si trova all’interno della sconsacrata Chiesa del Gesù. 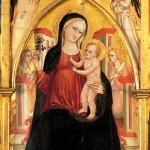 Conserva importanti opere di rinomati artisti quali Beato Angelico, Bartolomeo Della Gatta, Pietro Lorenzetti, Sassetta e Luca Signorelli, oltre ad arredi sacri di notevole pregio provenienti dalle chiese e dalle proprietà della diocesi. L’esposizione è preceduta da un unico reperto notevolmente più antico, anche se di altissima qualità, il sarcofago romano con il Combattimento tra Dioniso e le Amazzoni, databile al II° secolo d.C.
Nelle altre sale sono esposti una Madonna col Bambino, attribuita a Niccolò di Segna (1336), la monumentale Croce sagomata e dipinta da Pietro Lorenzetti (1315), il trittico della Madonna dell’Umiltà tra i Santi Nicola, Michele, Giovanni Battista e Margherita da Cortona del Sassetta (1434). Capolavori della pittura italiana del Rinascimento sono la pala dell’Annunciazione di Beato Angelico (1430), il Trittico di Cortona che racconta le storie di San Domenico e le nove tavole di Luca Signorelli, tra cui il celebre Compianto su Cristo morto (1502) e la Comunione degli Apostoli (1512). 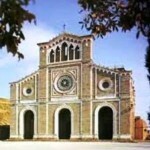 Denominato “Centro di Interpretazione delle Raccolte Don Sante Felici” contiene reperti paleontologici provenienti dalla zona pianeggiante del territorio comunale. In particolare, numerosi fossili risalenti al Pleistocene (circa un milione di anni fa) che ben documentano la natura della fauna e della flora della Valdichiana in quella remota epoca. 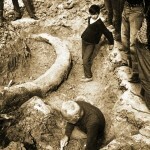 Tra i fossili più rappresentativi quello di un Mammuthus, un elefante primigenio di grandi dimensioni, resti di ippopotamo, rinoceronte, cervo, iena ed equidi, tutti mammiferi che vivevano nella zona durante il periodo quaternario. L’esposizione, visitabile solo su prenotazione, è arricchita da pannelli illustrativi. Il MAEC è anche il punto di accoglienza e di informazione del Parco Archeologico di Cortona e dei suoi ben 11 siti al suo interno. Tra questi, è di particolare valore il cosiddetto “Secondo Tumulo del Sodo”, un’opera praticamente unica. È un’imponente tomba arcaica, risalente VI° secolo a.C., preceduta da una monumentale gradinata decorata da grandi gruppi scultorei. Nel parco sono altrettanto notevoli anche la Tomba di Mezzavia, la villa romana di Ossaia, la Cisterna Bagni di Bacco, le mura di epoca etrusca e parte delle strade romane del Torreone e del Monte Maestrino. In località Cannaia è stata rinvenuta una tomba etrusca, denominata “Tanella di Pitagora”, risalente al II° secolo a. C.
La Galleria Il Pozzo è specializzata in foto e paesaggi toscana, oggetti e libri in pelle e mappe antiche. 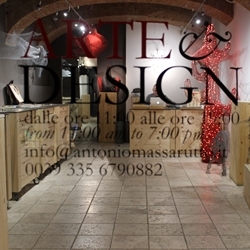 Antonio Massarutto è uno scultore e designer che vive e lavora a Cortona. 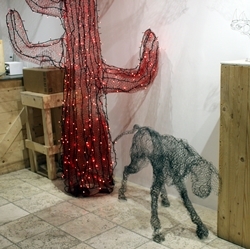 La sua vena creativa segue due filoni paralleli – la scultura e il design. Come scultore, Antonio Massarutto è incline a sperimentare sempre nuove forme espressive, traendo ispirazione dall’armonioso paesaggio e dal ricco patrimonio artistico. Ma la natura e il mondo animale rimangono indubbiamente la sua fonte d’ispirazione privilegiata. I suoi animali, cinghiali o cervi che siano, realizzati con tecnica mista, riflettono l’abilità dell’artista a cogliere l’animale nelle sue fattezze e nella sua essenza. Di rete metallica, ferro arrugginito, cartoncino bristol o paramenti liturgici, i suoi animali hanno saputo catturare l’attenzione di collezionisti del mondo intero. Riguardo alla gioielleria, quello che conta per lui è la ricerca di nuovi linguaggi, siano essi un gioiello da indossare o una scultura da contemplare. 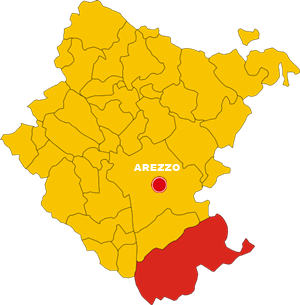 Ad Arezzo, uno dei principali distretti orafi italiani, collabora con importanti aziende da cui assorbe i segreti della lavorazione artigianale dei metalli. 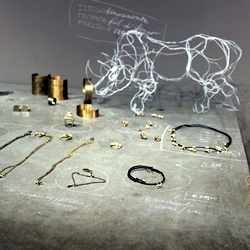 Con la microfusione a cera persa (tecnica molto simile a quella usata anticamente dagli Etruschi), il designer da vita a gioielli sempre più vicini all’arte e in particolare alla scultura contemporanea. In questa campagna tra vigneti e oliveti si snoda la Strada dei Vini di Cortona. Percorso turistico enogastronomico che seppur di recente riconosciuto dalla regione, vanta una lunghissima tradizione enologica. Le prime tracce, documentate, di produzione di vino in Cortona risalgono al III secolo a.C. Al Museo di Cortona è conservata la Tabula Cortonensis, sorta di contratto, che testimonia la transazione di un vigneto. Ancora oggi rimane di alto livello la produzione di vini, bianchi, rossi e passiti che si producono sul territorio. Prima DOC italiana ad inserire il vitigno Syrah nel disciplinare. Vasta la varietà di vitigni riconosciuti, sia a bacca bianca che a bacca rossa, così da permettere al vignaiolo di impiantare la tipologia che più si addice alla realtà ambientale della sua azienda, permettendo di ottenere una personale espressione varietale di qualità. l vari percorsi che La Strada dei Vini di Cortona ha individuato sono di grande aiuto per chi in questi luoghi è alla ricerca di paesaggi o di eccellenti vini, di capolavori dell’arte rinascimentale o semplicemente per degustazioni tipicamente legate al tradizionale gusto dell’enogastronomia cortonese. Notevole sviluppo ha avuto anche la gastronomia di alto livello. Moderni allevamenti di bovini di razza Chianina permettono di poter apprezzare ancor meglio la famosa bistecca. Da non trascurare i suini di razza Cinta Senese che, allevati allo stato brado (il famoso Porco Brado) esprimono al meglio le qualità gustative di questa pregiata carne che qui viene lavorata. Il punto vendita della Azienda Agricola Biologica ROMEO localizzato nel centro storico Di Cortona offre un selezionato elenco di vini di produzione biologica. Infatti, la produzione aziendale certificata BIO è di altissima qualità. La limitata produzione di 25.000 le bottiglie di Vino Mobile di Montepulciano all’anno cerca di valorizzazione il territorio e alla salvaguarda dell’habitat stesso tramite un’agricoltura migliore che rispetta maggiormente la natura in modo di realizzare prodotti della terra sani e genuini, che preservano la “biodiversità”. Inoltre, nella Bottega dell’Eretico si può acquistare una serie di prodotti toscani di qualità come miele, salse e ragù, pasta toscana tra altri. Le olive raccolte a mano subito dopo le operazioni di svinatura in cantina, vengono spremute con sistema tradizionale a macine e presse a freddo. L’olio viene fatto riposare per alcuni mesi in orci di terracotta e poi imbotigliato prima di Pasqua. La più storica e sicuramente conosciuta cantina del panorama vinicolo di Cortona, situata nella località di Valiano. La cantina ha la sua sede presso la “Fattoria le Capezzine”, antica residenza ottocentesca che ospita la splendida Vinsantaia unica al mondo, il negozio e la foresteria. Vino Nobile di Montepulciano DOCG: 85% Prugnolo Gentile, Canaiolo Nero 10%, Mammolo 5%. Botte grande per 18 mesi e affinamento di 9 mesi in bottiglia. Desiderio Cortona Merlot DOC: 100% Merlot. Barriques per 18 mesi e affinamento in bottiglia per 9 mesi. Vin Santo Occhio di Pernice DOC: 100% Prugnolo Gentile. Caratelli da 30 litri per 10 anni, stabilizzazione in bottiglia per 6 mesi. In una delle location più suggestive di Cortona potrete visitare le cantine Baracchi di proprietà della famiglia Baracchi, già proprietari del Relais Chateuax e Spa “Il Falconiere”, hotel di Charme e ristorante stellato segnalato in tutte le migliori guide. Qui Riccardo, con l’aiuto del figlio Benedetto e dell’enologo Stefano Chioccioli, ha voluto continuare la tradizione di famiglia che produceva vino fin dai primi anni del ‘900, creando una boutique Winery di grande fascino e con prodotti unici e particolari. Baracchi Brut Rose’: 100% Sangiovese. Metodo classico 24 mesi sui lieviti. Situata sulla collina di Farneta, in località Poggiobello, la Cantina Stefano Amerighi e’ la nuova realtà’ biodinamica ed ecosostenibile del panorama vinicolo di Cortona. Una visita unica dove si usa ancora l’antica arte della pigiatura con i piedi, dove si può ammirare la viticoltura tradizionale senza l’uso di prodotti chimici e soprattutto gustarsi un grande Syrah. Cortona Syrah DOC: 100% Syrah. Fermentazione in cemento, elevato in barriques per 18 mesi, affinamento 12 mesi in bottiglia. Risale al 1397, quando fu una delle fasi dei festeggiamenti per il matrimonio del signore di Cortona con una nobildonna senese. Rivivendo lo spirito del pieno Medio Evo, i rioni della cittadina si sfidano in un torneo di tiro con la balestra. 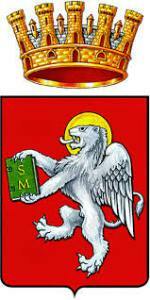 Di contorno si svolgono sfilate in costume d’epoca, giochi con bandiere e fuoco, esibizioni di falconeria, ricostruzione di storiche attività artigianali e lavorative. 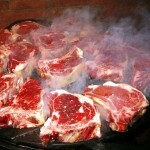 Celebrazione della qualità di una delle più pregiate carni italiane, quella dei bovini della cosidetta “razza chianina”, allevata nel territorio di Cortona e dei comuni vicini. 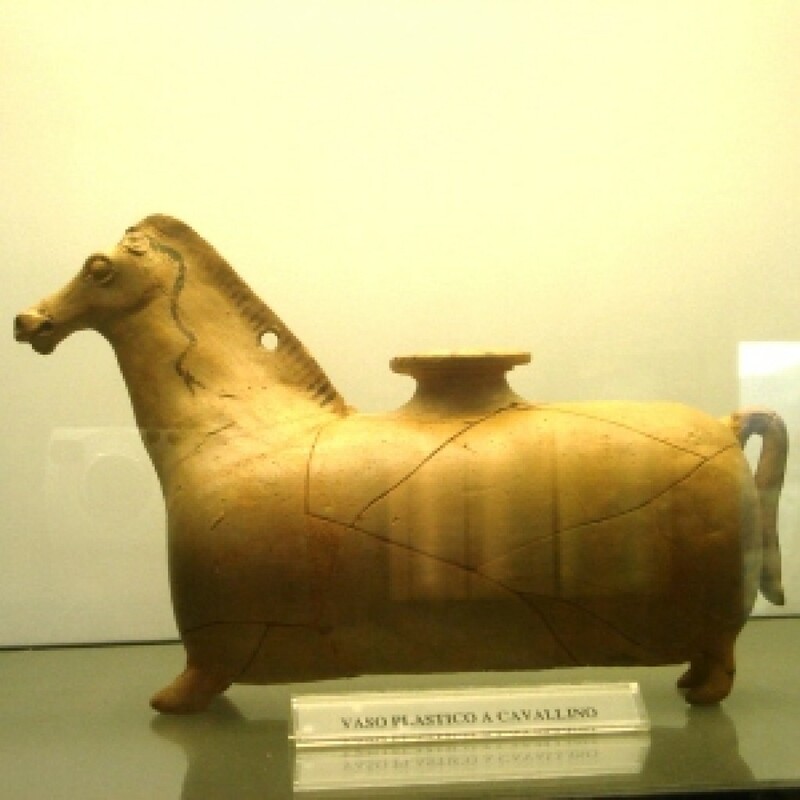 Una dei più vecchie ed apprezzate mostre di antiquariato della regione Toscana e dell’Italia centrale in genere. Si tratta di una manifestazione di contenuto essenzialmente religioso. 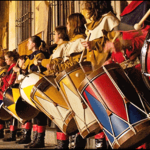 Inizia con la cosiddetta “Offerta dei Ceri”, seguita dalla solenne processione verso la basilica di Santa Margherita. ore 10.00: Arrivo alla Fattoria “Le Capezzine” di Avignonesi, visita dei vigneti, della cantina e della vinsantaia. La città di Cortona si trova in posizione collinare a 600 m s.m.l.e domina la Valdichiana con un panorama mozzaffiato sul Lago Trasimeno e il Monte Amiata. La tradizione della coltivazione della vite e della produzione del vino in questa terra risale al periodo etrusco. Si narra che Plinio il giovane amasse un vino bianco di nome “Etesiaca” prodotto a Cortona e che Paolo III° facesse grandi provviste di vino prodotto da questi vigneti. I Terreni e microclima particolarmente vocati alla viticultura hanno fatto si che molti agricoltori investissero su questa terra in passato, arrivando poi ai giorni nostri dove la Cortona DOC é diventata una realtà importante a livello nazionale ed internazionale. La più storica e sicuramente conosciuta cantina del panorama vinicolo di Cortona, situata nella località di Valiano. La cantina ha la sua sede presso la “Fattoria le Capezzine”, antica residenza ottocentesca che ospita lla splendida Vinsantaia unica al mondo, il negozio e la foresteria. Situata sulla collina di Farneta, in localita’ Poggiobello, la Cantina Stefano Amerighi e’ la nuova realta’ biodinamica ed ecosostenibile del panorama vinicolo di Cortona. Una visita unica dove si usa ancora l’antica arte della pigiatura con i piedi, dove si può ammirare la viticoltura tradizionale senza l’uso di prodotti chimici e soprattutto gustarsi un grande Syrah. – I prezzi indicati sono a persona, per un minimo di 2 persone. Il pacchetto è modificabile e personalizzabile, con l’aggiunta di attività extra in base ai gusti, orari più comodi e alle esigenze della clientela. Le origini della città si fondono con alcune leggende. Una di queste riferisce che Cortona sarebbe stata fondata dal mitico Dardano, fondatore di Troia. Le prime notizie storiche certe risalgono all’epoca etrusca tra l’VIII° ed il VII° secolo a. C. Infatti Cortona era addirittura una delle dodici lucumonìe che componevano la confederazione etrusca dell’Italia centrale. La grande civiltà ha lasciato importantissime testimonianze, risalenti al IV° secolo a.C. – le imponenti mura del V°-IV° secolo a.C. che circondano la città (circa 3 chilometri di perimetro), il monumentale altare funerario adornato da sfingi (unico esempio al mondo) e le tombe nobiliari “a melone” sparse nei dintorni della cittadina. Durante il periodo romano Cortona perse progressivamente importanza e, nel 450 d.C. Bisogna attendere il XIII° secolo perché la cittadina conosca un nuovo impulso ed allarghi progressivamente la zona di influenza. All’inizio del XV° secolo il re di Napoli Ladislao occupò l’abitato e ne fece oggetto di vendita con Firenze, sempre alla ricerca di nuove espansioni territoriali e, nel 1411, Cortona perse definitivamente la propria autonomia. In compenso la cittadina divenne sede di capitanato. Nel XVI° secolo il Rinascimento fiorentino fiorì nelle opere di artisti locali – Luca Signorelli e Pietro Berrettini – e nei monumenti dell’architetto Francesco di Giorgio Martini. Per iniziativa dei tre fratelli Venuti – Marcello, Filippo e Ridolfino -, nel 1727 fu fondata l’Accademia Etrusca, un centro di ricerca della storica civiltà, evento che, per le caratteristiche innovative, richiamò l’attenzione di vari intellettuali europei quali Voltaire, Muratori, Pallottino e l’archeologo Winckelmann. Inoltre, all’Accademia fu dato l’incarico di curare l’edizione italiana di opere di ampio spessore, quali il Dizionario Enciclopedico del Diderot.Cortona trascorse tranquillamente gli anni del Granducato di Toscana e gli eventi che portarono all’Unità d’Italia, curando e conservando il patrimonio storico-culturale dei secoli precedenti. A partire dal secolo scorso la cittadina ha iniziato un ordinato sviluppo economico grazie alla meccanizzazione dell’agricoltura, ivi compreso gli allevamenti della pregiata razza bovina “chianina”. Cortona è stata lo scenario naturale dove sono stati girati vari film: tra quelli di maggiore diffusione Sotto il sole della Toscana, Margherita da Cortona, Le due vite di Mattia Pascal, La vita è bella. In particolare, Sotto il sole della Toscana (Under Tuscany Sun) è ispirato all’omonimo romanzo di Frances Mayes, che ha raccontato l’esperienza personale di lasciare il proprio paese di origine per stabilirsi a Cortona. 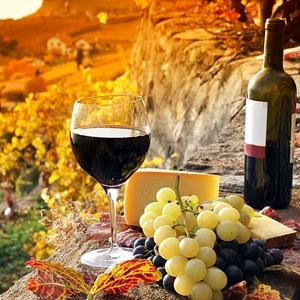 Time around Tuscany è un tour operator specializzato nell’enogastronomia, nell’esplorazione del mondo delle specialità culinarie locali e regionali, e del vino, grazie all’ esperienza della sua titolare. 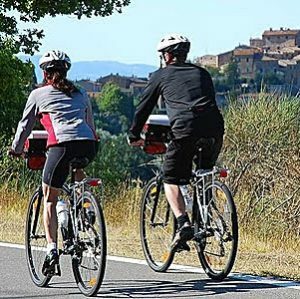 Come agenzia turistica di incoming specializzata in vacanze gourmet, Time Around Tuscany offre agli amanti del buon cibo e del vino di qualità, corsi pratici di cucina, tour privati in aziende vinicole ed esperienze culinarie. E’ per questo motivo che, oltre ai percorsi classici legati all’arte e alle interessanti mete culturali e religiose, fra le proposte non mancano mai attività dedicate agli appassionati dell’enogastronomia, itinerari studiati per farvi scoprire particolarità sconosciute e vini mai assaggiati prima. I tour sono condotti da guide professioniste specializzate che offrano tutta la loro disponibilità e vi sveleranno cose molto interessanti su ogni città che visiterete insieme. 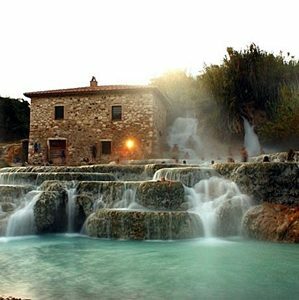 Time Arounf Tuscany progetta vacanze uniche per buongustai che vogliono sperimentare e avere una visione più profonda di una regione interessante come la Toscana. 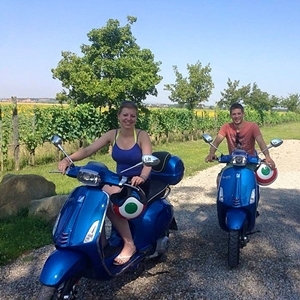 I tour del vino vi porteranno a visitare aziende vinicole molto quotate ma anche piccole aziende meno conosciute, il tutto in macchina, a piedi, in bicicletta o in vespa, con il mezzo che preferite. Avrete la possibilità di incontrare l’ enologo e scoprire qualche trucco del processo di vinificazione, degustare i vini e scoprire di più sulle diverse varietà di uva in aree diverse della Toscana. Potete scegliere fra il tour del vino nel Chianti Classico, o scoprire il miglior Syrah d’Italia a Cortona, oppure visitare Montepulciano e degustare il Vino Nobile. Oppure e a Montalcino degustare diverse versioni di Brunello.